Adding a Genbook "Book" button to your Instagram business profile. 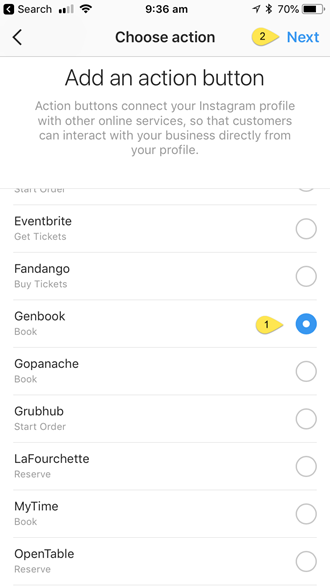 Genbook appointment booking is now available directly from your Instagram business profile! Customers use Instagram to visually discover products & services with over 200 million people visiting a business profile each day. Adding a ‘Book' button to your business profile makes this a more seamless experience. If you haven't already, create an Instagram account for your business. 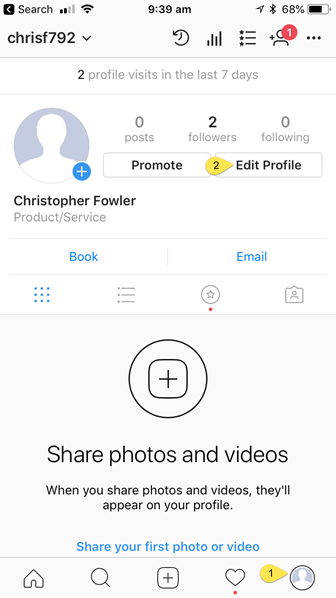 Convert your Instagram account to a business profile. Learn how. 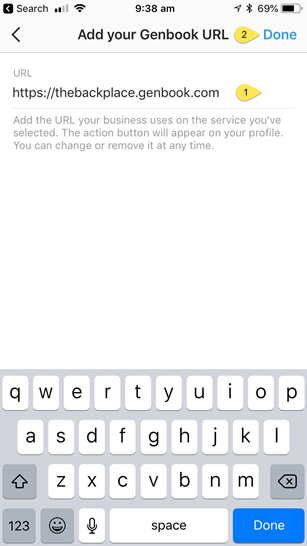 Go to your Instagram profile on your mobile phone, tap “Edit Profile." 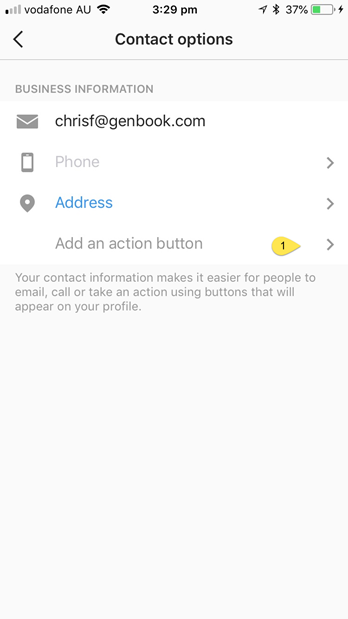 Select the “Contact Options” section. Scroll down the list, tap “Genbook”. Add your Scheduling Web page URL, then tap "Done". You can find your Scheduling Web page URL from your account Settings in Genbook. 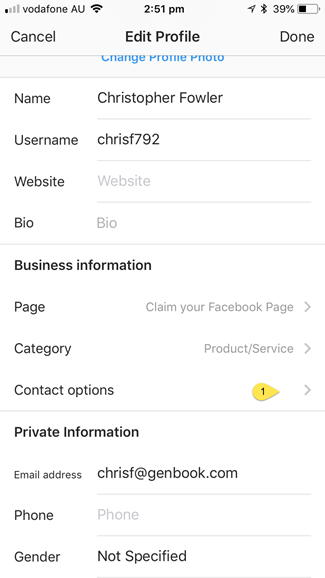 That's it — your customer can now book with you using the 'Book" button on your Instagram business profile!